You’ve spent months pumping out articles. What started as a hobby has grown into an impressive editorial calendar with a booming audience. But you are expecting something to come of your efforts -- ideally something lucrative -- and so far, you haven’t made any money in the process. Is it worth your time and energy to continue writing for your readers? Blogging can definitely send substantial money your way. In fact, there are dozens of ways to monetize your blog. Today, we’ve brought you the five best methods. First, let’s walk through some of the reasons it’s worth monetizing your audience. Blogging is one of the more popular content marketing formats for businesses today. There’s definitely an opportunity for full-time bloggers to make a hearty income. 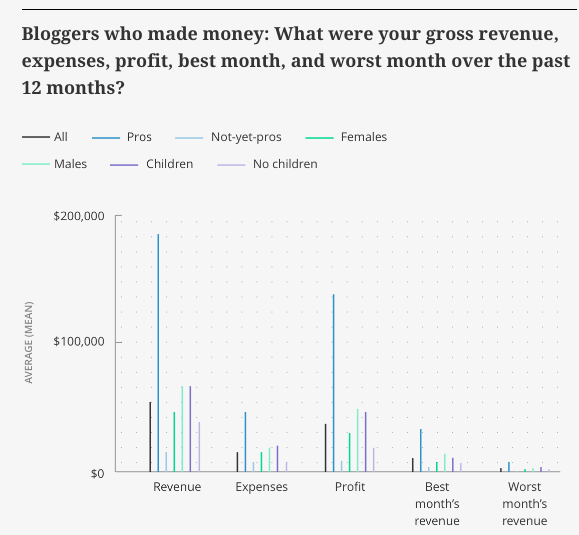 Pro bloggers make an average annual revenue of $185,975. But you don’t have to be among those anointed few -- professional bloggers -- to reap massive rewards and the income to match. Case in point, blogger Karen Evans started multiple blogs over the last five years from scratch and turned her hobby into a passive income stream. She now helps people set up their own in under 30 minutes. Blogging gives you the perfect opportunity to drive targeted traffic to your site, especially if you use search engine optimization (SEO) tactics to attract organic visitors who are interested in the content you publish. Websites with blogs have 434% more indexed pages and 97% more indexed links, so the more you blog, the more traffic you attract from search engines. That increased traffic means increased opportunities to offer audience-relevant products (which is why it is so, so important to get your audience research right), which in turn translates into more chances to generate revenue. Those opportunities are just one of the many reasons 37% of marketers believe that blogs are the most important type of content marketing. But how, you might be wondering, does all of this tie into monetization directly? They drive more traffic, which drives more revenue, which then drives more traffic as you ramp up your strategy further, and that results in -- you guessed it -- more revenue. The only thing better than a well-executed and money-generating content plan, in this content marketer’s humble opinion, is one that’s self-sustaining and makes itself. But lest there be any confusion, monetization isn’t a strictly one-sided benefit. Our final reason today to monetize your blog serves your audience as much as you. 61% of consumers make purchases based on a blog post, which means the links you reference and the products you recommend in your content carry weight. Of course, the products, purchases, and brands you recommend should align with your audience’s best interest, which is how you can influence buyer behavior in a good (and ethical) way. A prime example of how you can make money from your blog is Michelle Gardner. Michelle monetizes her MakingSenseOfCents blog and brings in over $126k of monthly income. Wondering where her blog monetization income comes from? $64,828 of her monthly income comes directly from affiliate marketing and blogging. 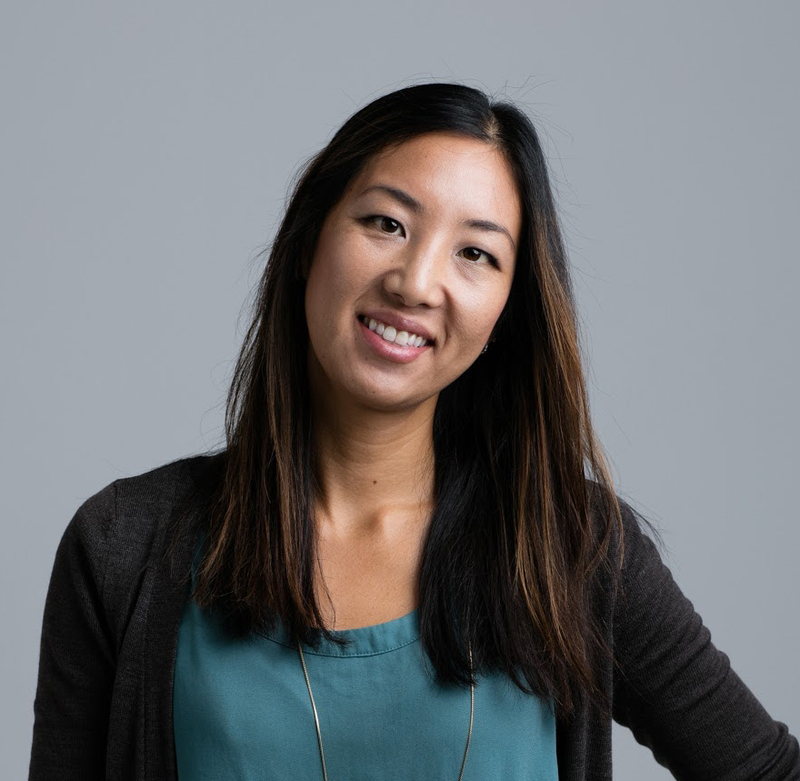 She’s able to sustain that income thanks to her influx of traffic: in fact, of her search traffic, 37.57% of her income-generating audience came from search. Remember what we said about that SEO-monetization loop? Yeah, Michelle is living it. 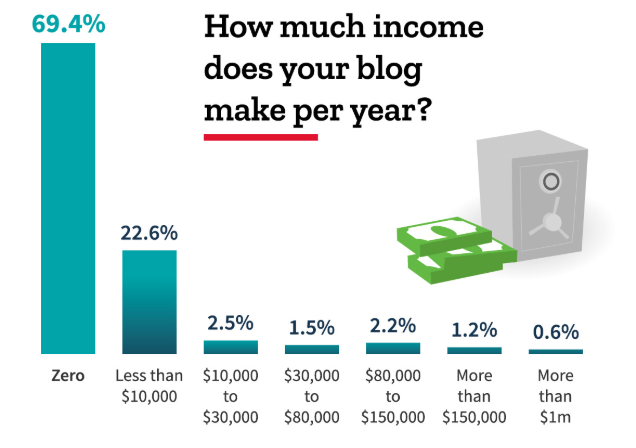 69.4% of bloggers don’t make money at all. So should you turn in your writing pen (or keyboard) and call it quits? No, definitely not. Rather, the difference between high performers like Michelle and the rest of the blogging world is in the variety of revenue channels. Michelle doesn’t put all of her monetization eggs in one basket, and neither should you. We’ve got you covered for both today. Let’s start, naturally, with the first: your timing. When can you monetize your blog? When you’ve fulfilled at least one of these three conditions, you’re in a great spot to start making money from your blog site. If you’re a full-time blogger or if you’ve been building an audience through your blog as a side-hustle, you’re in a position to monetize. Naturally, the larger your audience, the easier it will be to monetize. I won’t go into specific audience sizes because it ultimately doesn’t matter (more on why, shortly). The main factor here is that you’ve cultivated an engaged audience. Successful business owner and entrepreneur, Justin Jackson, knew he was primed and ready to monetize his blog after he had been blogging for a few years and felt confident enough to expand to a podcast. As it would happen, the expansion was synergistic. As his podcast’s audience grew, so did his blog audience. Justin noticed more blog comments and started to tailor his content around answering his audience’s biggest questions, which further increased his fanship size. Speaking of size, you’ll see why it doesn’t matter in our next section. Even if you don’t have a ton of traffic flowing to your current blog or if you’re new to blogging, you’re in the right place to monetize your blog when you have the bandwidth to support a healthy editorial calendar with regularly published articles. That means at least 10 posts per month with at least 1,000 words per post if you’re a company with 1-10 team members. The average word count for top Google results is between 1,140 and 1,285 words, so you’ll need to be able to produce at least that quantity at the recommended 10-monthly-posts frequency. Why? Because it drives and sustains your traffic. 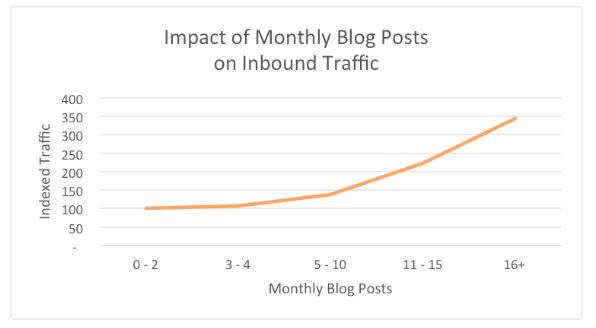 Companies that publish over 16 posts per month get nearly 3.5 times more traffic than companies that publish between 0-4 monthly blog posts. To make a larger dent in obtaining your traffic goals, make sure you have the bandwidth to dedicate enough time to writing more frequently. If you’re short on time and can’t commit to writing over 10 posts per month, don't worry -- you can still monetize your blog by productizing your business and selling digital goods. No matter what type of business you operate, you have the option of productizing your business, since there’s no cap to the number of customers who can purchase your limitless digital inventory. That said, if you’re not in a good position to monetize your blog right now, you can start to strategize and plan your content in advance, so your revenue channels are ready to go when you are. 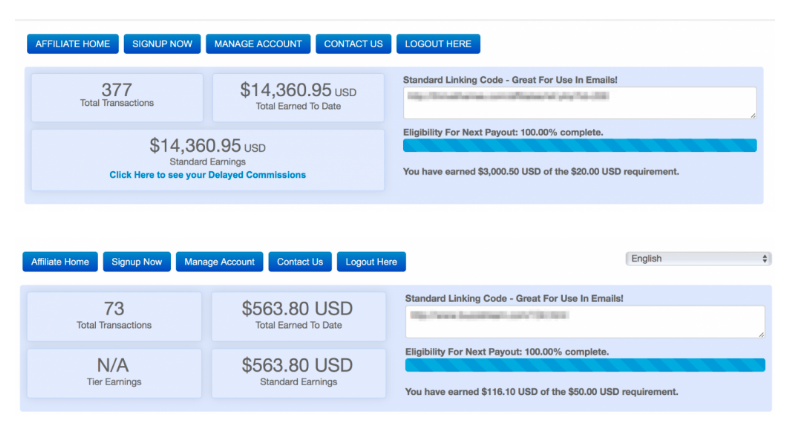 Now, to unveil the best blog monetization options. Affiliate marketing in blogging typically revolves around links. When you promote a merchant’s link through your content and someone buys from that link, you earn a commission. For example, you can get paid to promote WordPress themes by including a relevant link in your content. The average commission payout is around 35% for WordPress affiliate programs, with MyThemeShop offering the largest chunk at 70% commission. Wondering how much money you can make using affiliate marketing as your strategy? Founder of Smart Passive Income, Pat Flynn, has earned hundreds of thousands of dollars from affiliate marketing. In his first website in 2009, he generated $200,000 in commissions from linking to an exam software product and more recently he’s earned $300,000 from one affiliate partnership with ConvertKit. Here’s another success case for you. Founder of Entrepreneurs on Fire, John Lee Dumas, started earning income from his Eofire.com blog in 2012 and has racked up a meaty $15 million in gross income so far. 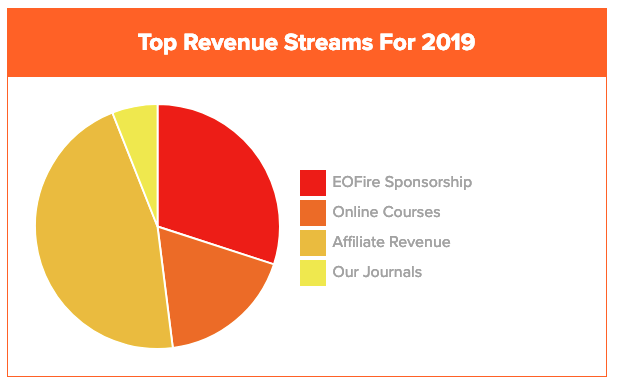 In only two months of earning income in 2019, John’s blog has brought in over $340,000 in gross revenue with nearly half of that coming from affiliate marketing. Overall, affiliate blogging is growing in popularity and for a good reason -- it’s profitable for a lot of people. After all, 84% of online publishers use affiliate style marketing, and in the US alone, retailers spend about $5.5 billion annually on affiliate marketing. However, if you don’t want to promote products on your blog, our next method may be an option for you. Is running ads a good way to make money from your blog? In short, yes -- if you have enough traffic volume, it can prove to be profitable. While it’s not a prerequisite to have a specific level of traffic volume, the audience size does correlate with the amount of revenue generated. You need approximately 20,000 visitors a day to generate over 30,000 page views. This can earn you about $274 a day, which translates to $100,000 a year in advertising revenues. Again, even if your traffic isn’t approaching those numbers, you’re ready to monetize your blog as long as you’re growing an audience. A work-in-progress monetization strategy is still a revenue stream. Take, for example, Joseph Hogue, a successful entrepreneur who manages five blogs. He earned over $26,000 within six months just after two years of blogging. 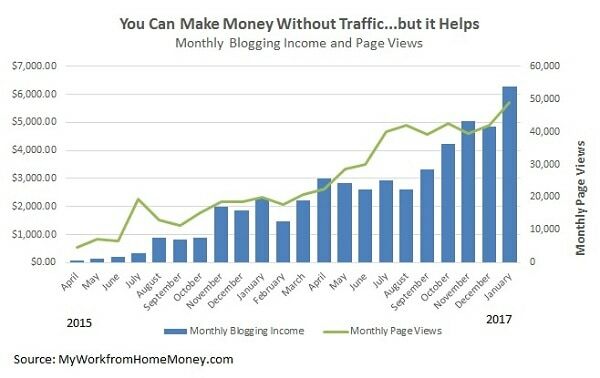 You can see how his blog income growth coincides with his monthly page views. Not bad for generating two years worth of blog traffic. Caveat: The best way to generate traffic to your blog is through tactics that build organic traffic, like SEO, which means your ad traffic strategy needs to work in concert with your SEO efforts. It’s also worth being aware of the many ad blockers that people use if you’re considering this strategy. 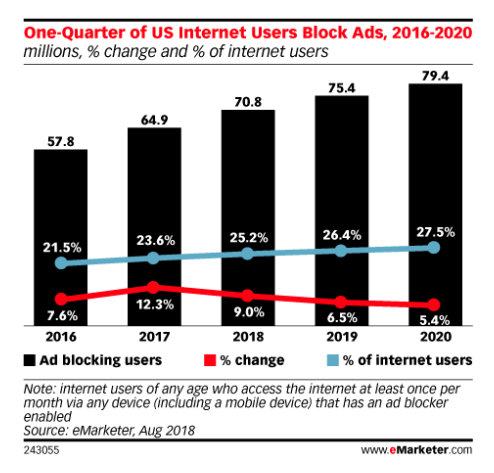 After all, about one-fourth of US internet users block their ads. For this reason, we recommend Google AdSense as the preferred platform because it’ll naturally fall nicely in line with your SEO tactics and comply with most popular adblocking suite’s “acceptable ads” policies. Want to know how to get the most mileage out of your AdSense account? It’s surprisingly simple -- experiment with it. More specifically, conduct A/B tests to find the best performing ad formats. 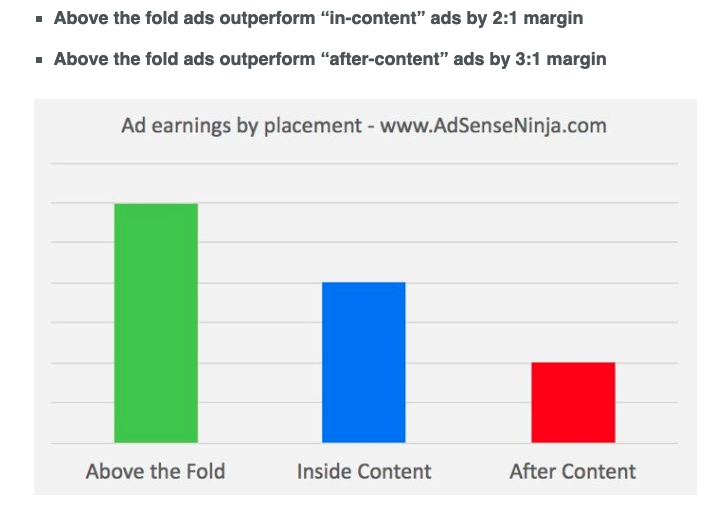 This allows you to optimize your ad strategy by, of course, going with the ad format that pulls in the highest click-through rate (CTR) -- which, in the case above, is variation A.
A/B testing doesn’t have to stop there, either. 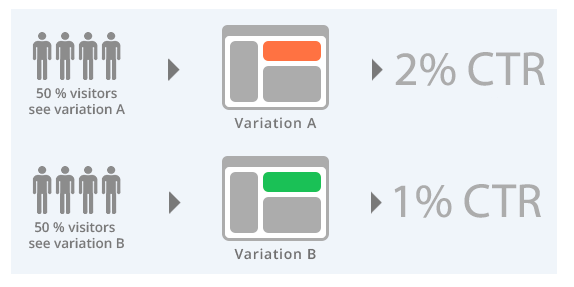 The most important considerations when A/B testing your ad strategy are not to make assumptions, rely on the data to make your decisions, and continue to test consistently. Now, let’s move onto our third blog monetization option. Similar to affiliate marketing, you also promote an outside business in a sponsorship arrangement. The difference is, rather than receiving a commission per transaction, your sponsor pays you for a one-time link inclusion in one of your posts or they sponsor a specific post in exchange for a link back to their site. How much you decide to charge is up to you. For a reference point on pricing, 17-year blog veteran and original founder of SuccessfulBlogging, Annabel Candy, charges over $700 per sponsored blog post. Her rate isn’t arbitrary, either. It’s based on charging 50% of what a blog ad agency would charge, in which some brands pay as much as $1,500 for similar traffic to Annabel’s. 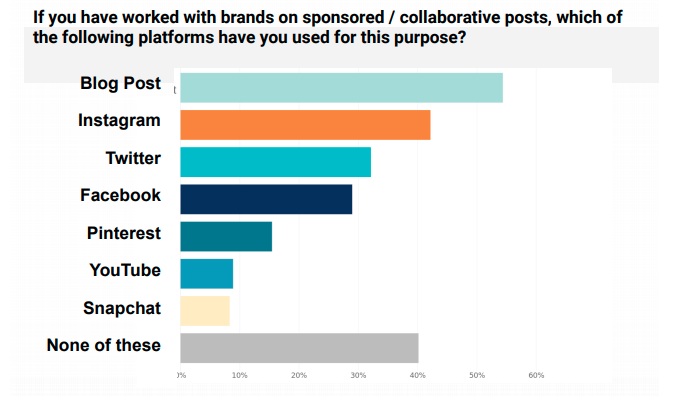 For content creators and influencers, a blog post is the most popular format to use when monetizing through sponsorships, with 54% of influencers using their blogs for sponsored posts. Another similar blog monetization format is paid reviews, which is when a business pays you to include a review of their product or service in your blog article. Note that in both sponsorships and product reviews, it’s common ethical practice (and, again, a legal requirement in the US) to disclose to your blog readers that your content is sponsored by the entity represented. Additionally, it’s important to keep in mind that the sponsored brand or products that you link to should be aligned with your audience, which will keep your own content reputable and serving your reader’s best interest. After all, your readers should come first. That’s how they come to know, like, and trust you. And when you have an audience that trusts you, that’s when you’ll benefit the most from our final two blog monetization options, starting with productizing your business. Whether an online course, guide, membership site, or ebook, selling your digital products on your blog is a great way to productize and scale your business. Productizing your business means you can leverage your time and resources. When you sell digital products, the setup is simple and low maintenance. Plus, you have limitless inventory, which also means an uncapped sales potential. Online courses make for an excellent digital product format for this. Why? The market for elearning is massive and expanding. 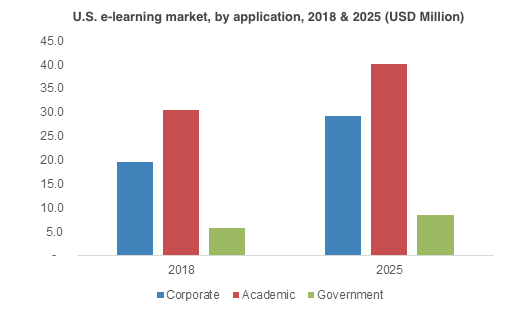 In the US alone, the elearning market is projected to grow at a CAGR of 7% through 2025. This projection is proving to be true for everyday creators. Founder of French site Le Musicien Formations, Vincent Retg, sold nearly 2,000 euros worth of online courses in his first month teaching students how to create memorable melodies. Another excellent option for productizing your site is selling ebooks, which serves as an especially popular digital product these days because of its expanding customer base. The global ebook market is currently valued at close to $13.7 billion in revenue and is expected to grow at a 2.7% compound annual growth rate (CAGR) through 2023. These impressive growth numbers make for an ideal time to get in on the ebook action. Entrepreneur and content creator, David Delahunty, for example, sells his ebooks on his 5 Ideas a day storefront and has reached over 6,000 audience members. If you’d like more details on how to create and sell an ebook, this step-by-step guide will tell you everything you need to know from start to finish. While online courses and ebooks are just two formats of profitable digital products, there are plenty more. You may want to check out these 72 real-life examples for more ideas and inspiration. Selling digital products is the way to go for productizing and scaling your business, and your blog audience is the perfect prospective customer base. Ready for our final blog monetization recommendation? Read on. The markets for personal coaching and consulting services are also large and growing. There’s no better time than the present to offer these services to your audience. Why is coaching a great option? The US market for personal coaching is expected to reach $1.34 billion by 2022 with the average annual income for specialty coaches reaching over $100,000 per year. 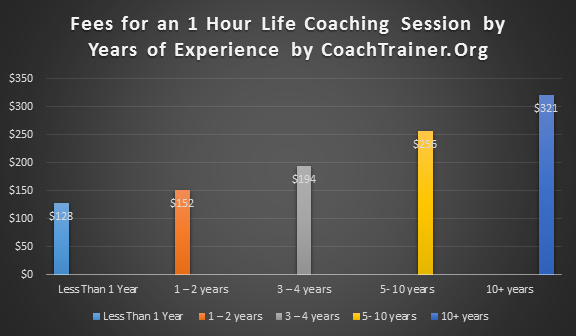 Here’s the average hourly fee that life coaches charge based on the number of years of experience. So, depending on your years of experience and level of expertise, you can earn a hefty income by selling your coaching services to your followers. 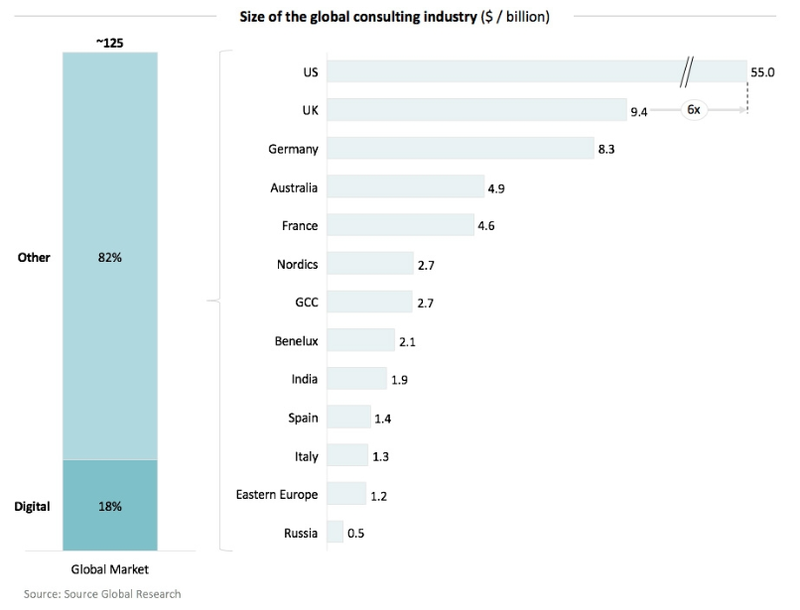 Selling your consulting services to your blog audience is also a smart monetization option because of the digital boom, which increased the size of the global consulting market to $23 billion. We surveyed 2,000 creators and 41% said consulting and freelancing is their highest earning revenue channel. Of course, it goes without saying that you should offer service packages where you have the most expertise, comfort, and experience. As a result, this will bring you the most amount of credibility and lower your barrier to sales with your audience. For instance, renowned entrepreneur, Chris Ducker, was living in the Philippines when he launched his Virtual Staff Finder consulting business, a service that helps people find Filipino virtual assistants -- doesn’t get much more credible than that. He found success rapidly, with an average of three new customers per week paying $350 each, right out of the gate. By the eighth week of launching his consulting business, Chris had already made $8,750 in revenue. As you’ve been positioning yourself as the expert on your topic by consistently publishing valuable content on your blog, you can monetize that expertise and offer relevant service packages through coaching or consulting others. With all five of these monetization methods available to you, it’s time to find the one that’s the best fit for you and your audience. With several ideas on how to monetize your blog floating out there on the internet, we’ve saved you sifting time by pulling together the top recommended strategies for you. The benefits to monetizing your blog include earning a substantial income, driving more traffic to your site, and influencing consumer behavior. You’re in a good position to monetize your blog when you’ve grown an audience, you have the time to create and maintain a regular editorial calendar, or you’re ready to productize your business. Affiliate blogging, where you include links to other people’s products in your blog and are paid a commission for each sale, is a profitable monetization option. Using Google AdSense can drive a substantial amount of passive income to your blog, as well. Paid blog sponsorships and reviews are another worthwhile monetization channel, though they can be harder to obtain without significant preexisting traffic. If you’d prefer a more maker-oriented approach, selling digital products such as online courses or ebooks is another awesome way to scale your business and monetize your audience. Finally, you can also leverage your expertise and sell coaching and consulting services to your blog audience. As you explore monetization, pay attention to both what drives your income as well as what best serves your audience. And if what should resonate best with your audience and you is productizing, there's a platform that lets you serve both interests from one easy dashboard. But don't take my word for it: see it in action with a no-risk 14-day trial for yourself. Happy creating -- the blogging monetization world is all yours.